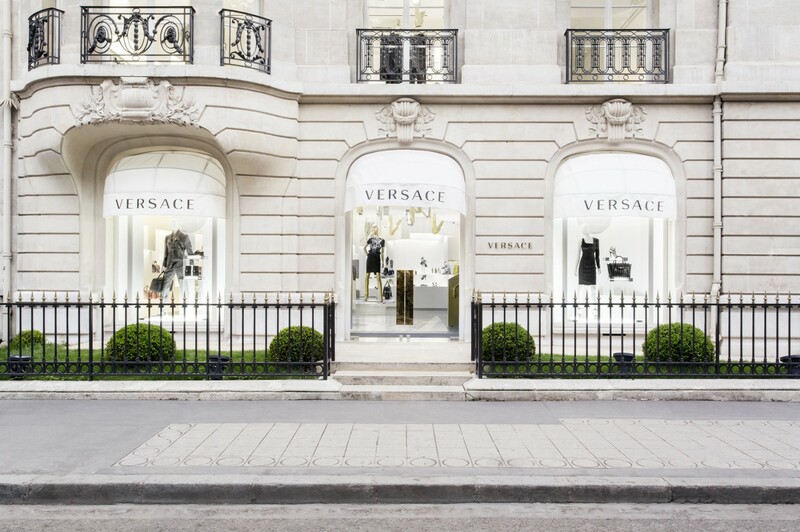 Donatella Versace, Chief Designer and Vice-President for Versace, commissioned a new architectural design concept to reinvigorate her global retail empire. 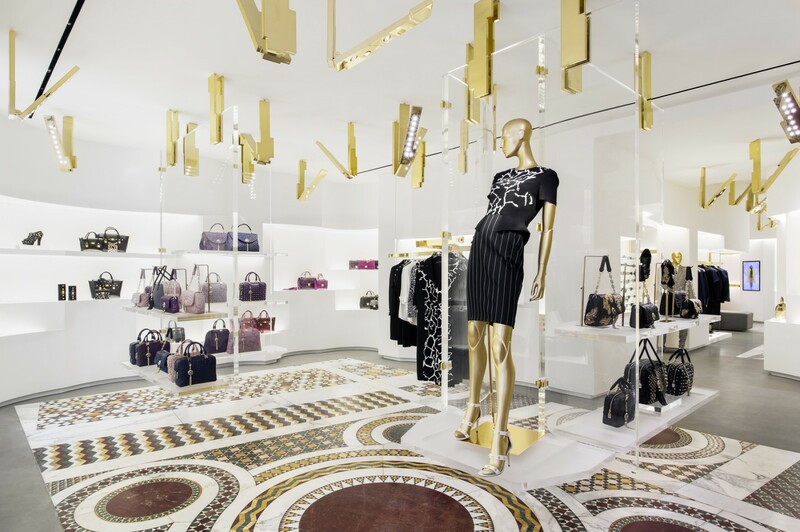 The concept recaptured the opulent beauty of her brother Gianni Versace’s first stores, layered with optimism for the future of Versace in the new century. 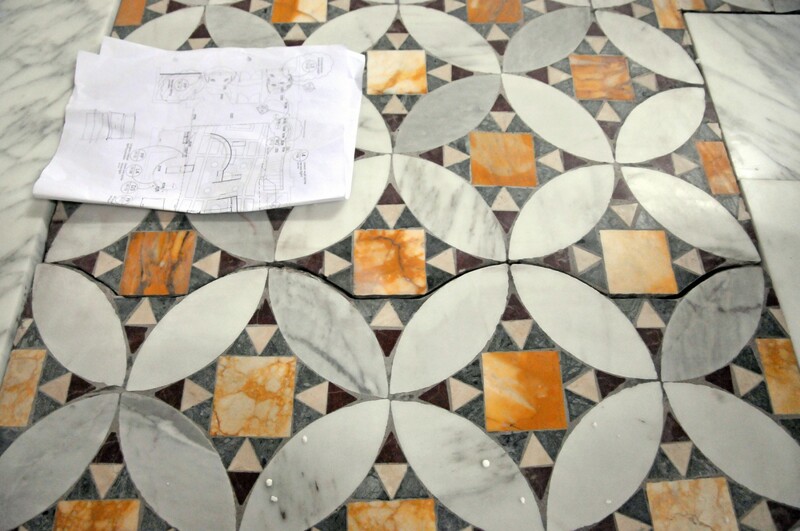 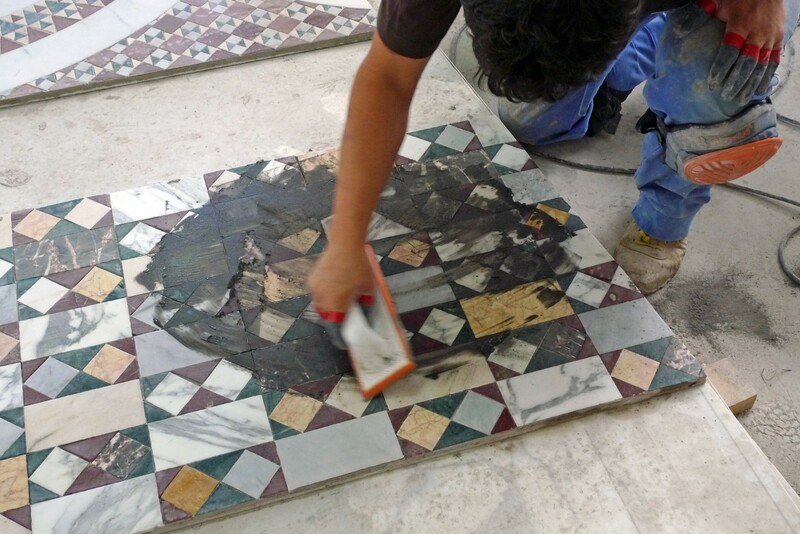 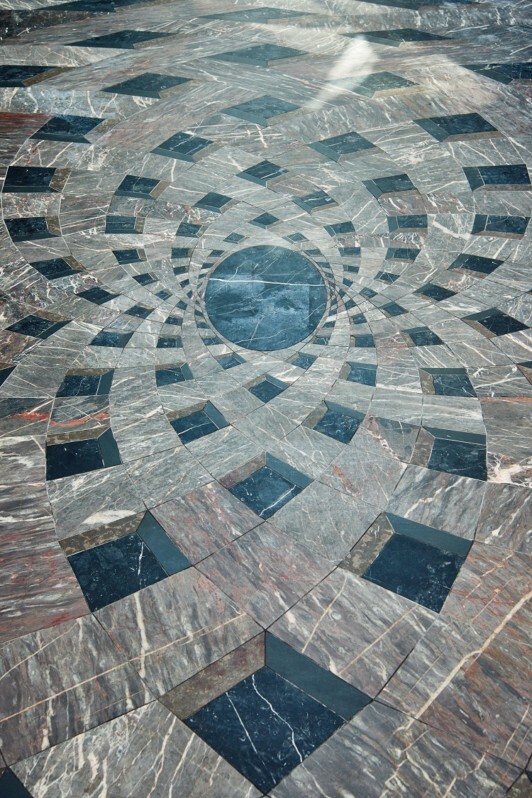 The showpiece is a mosaic floor, based on an especially beautiful example of a Cosmati floor found in the Church of Santa Prassede in Rome. 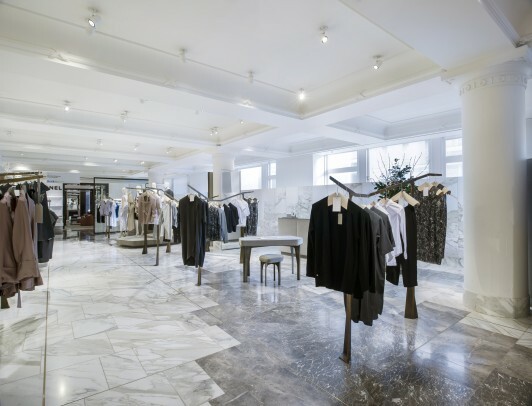 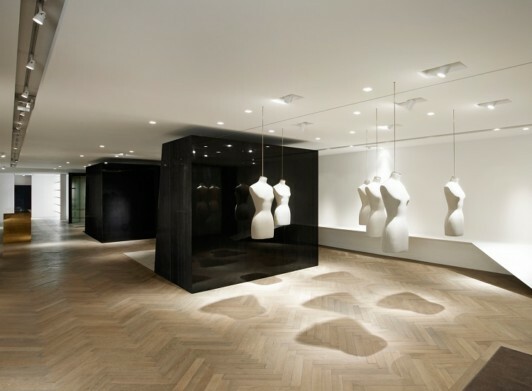 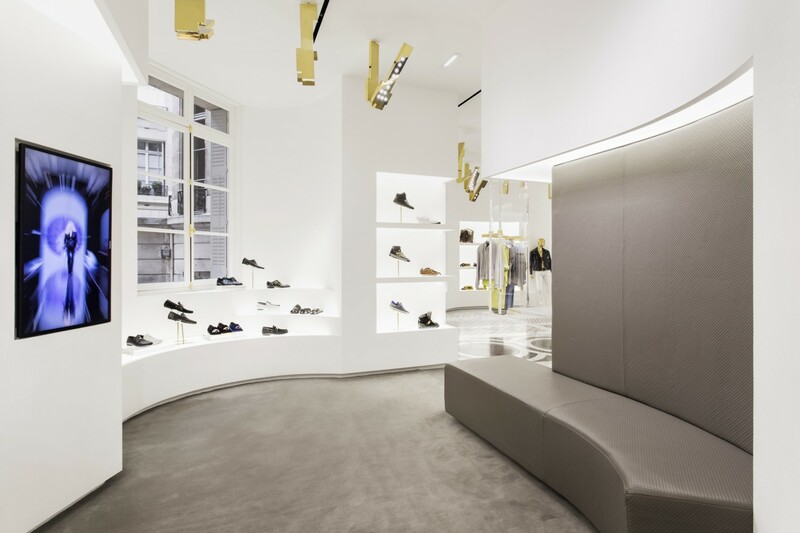 There is a positive tension between the intricately patterned and deeply historic floor and the clean-cut, futuristic elements of Perspex and brass that hang above it and display the collection. 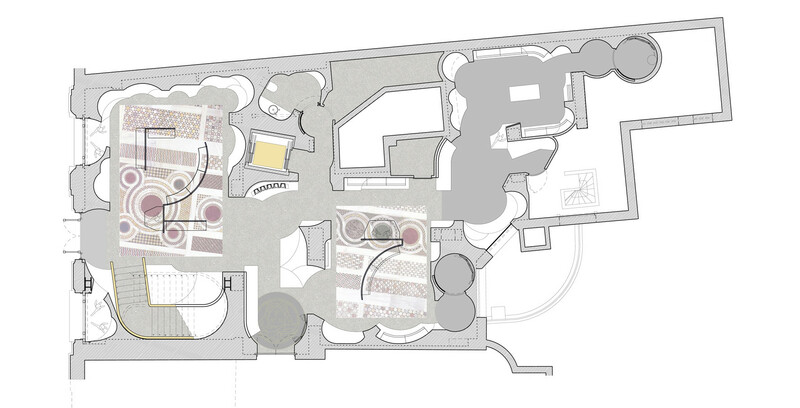 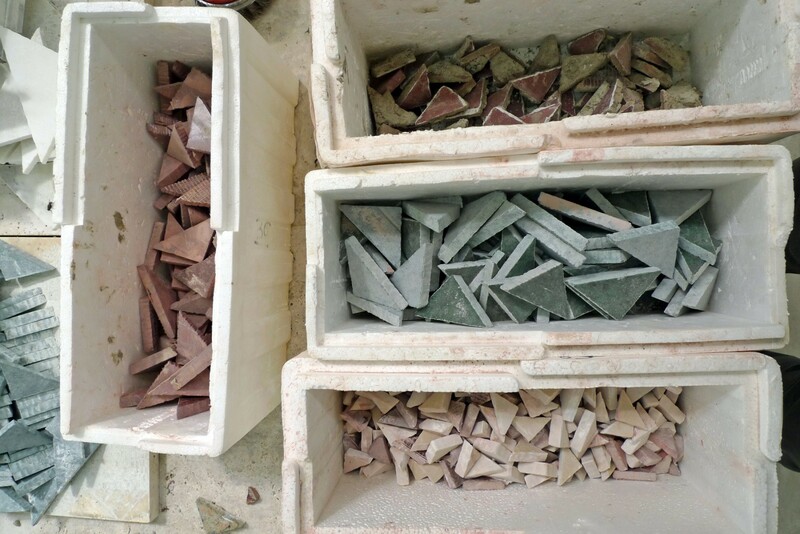 Soft, curving walls and shelves in rough plaster enclose the space with echoes of Byzantine form. 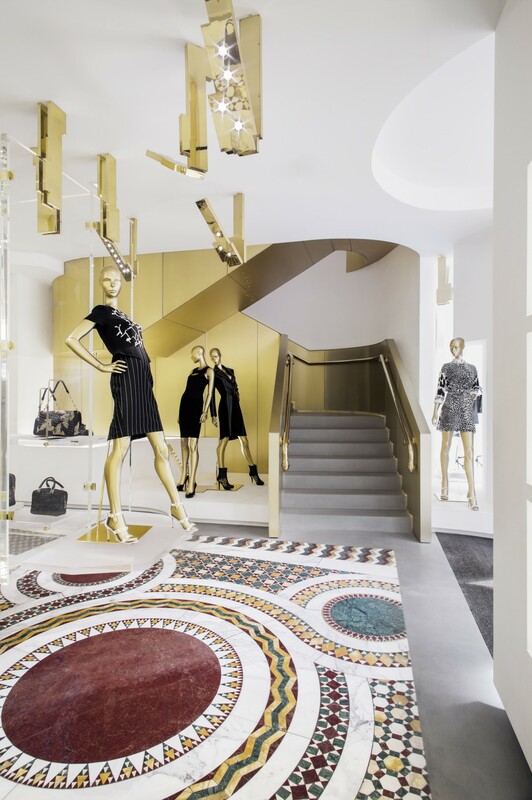 The overall effect is opulent yet contemporary. 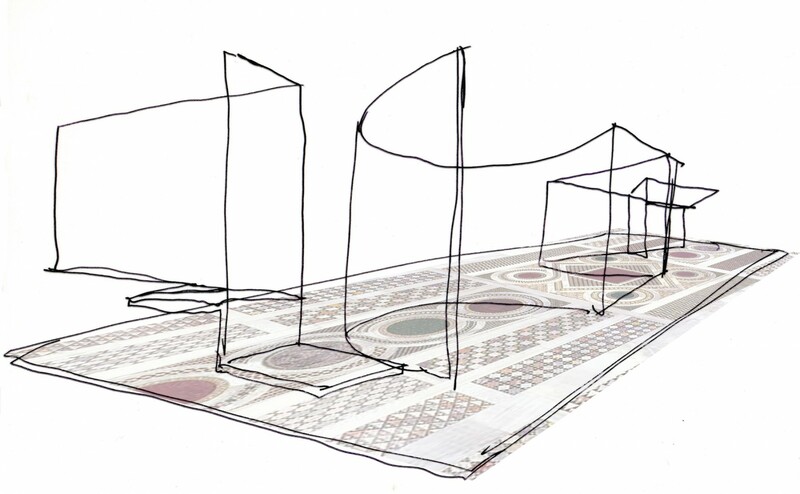 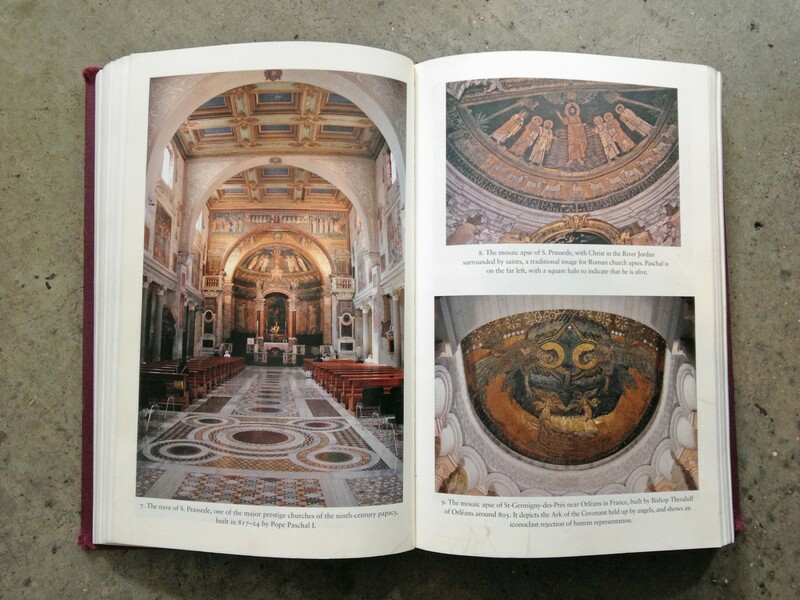 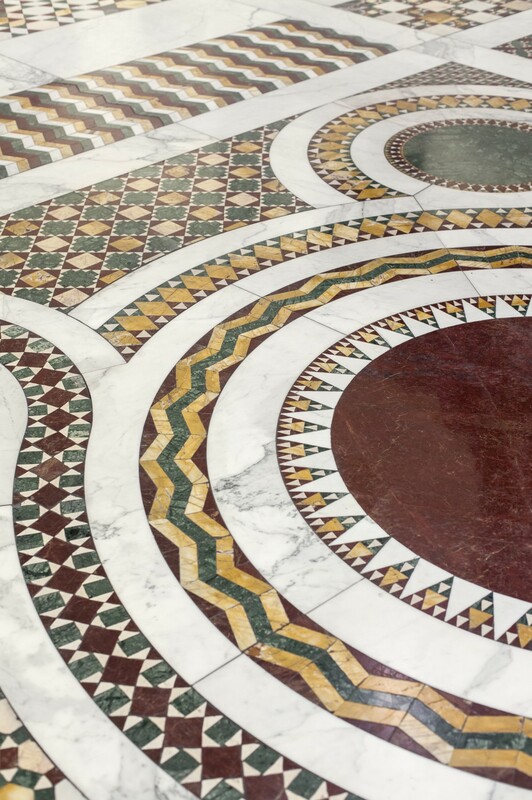 Inspiration: Santa Prassede in Rome, which has one of the best examples of Cosmati flooring.